China rise of power has brought numerous changes in the political economy both in international level and regional level. In the recent past, China has been considered as threat to security. This was witnessed in the South Asia region. Currently, China and its neighbors in Asia have opted for an intimate relationship in economic cooperation. It is evident that have tried to keep the ties together for the good reasons and the long term associations. The era of world war had an ideology as the common idea that determined interstate relations, which divided the world into two main blocks, the United States of America and the Union of Soviet Socialist Republics (USSR). The two blocks tried to influence South East Asian countries, at that time China was a common enemy since it was associated with the USSR. Due to their similarities in political objectives it led to its neighbors in forming an Association of South East Asian Nations (ASEAN). The main purpose was to reduce the influence of China towards its neighboring countries. The achievement of China in its economic prowess has led its neighbors to change their stand on China. The increase of China’s influence on the international stage has led to increasing opportunities and benefits to its neighbors. Alim (2) noted that the ideology that was the primary concern has in the world war has been replaced by economic interest. Countries that are neighbors in China such as Indonesia, and South Asia have tried to strengthen their relationship with China. The main purpose of strengthening the relationship with other countries is to enable them to benefit from the rising China. Even though these countries have had long problematic ties, the relationship currently is becoming closer and tight. The primary factor behind the good relationships of China’s neighbors is the economic interest. China’s behavior towards international relationship has greatly improved. When you compare China today and 1949-1970 when they had adopted isolation policy, then you notice a significant difference. After this period of isolation was over, it is seen that China has signed to be a member of many international organizations including Japan, Korea, Indonesia and Central Asian countries as members. One of such organization is the Southern Asian Association for regional cooperation. The efforts made by China in her willingness to be a responsible major power were seen when it decided to assist Asian countries during the Asian financial crisis. During this period China donated US$ 1Bllioion to Thailand, this was under the IMF framework. It also made a promise to Asian countries not to devalue its currency. During this financial crisis, the USA did not show any willingness to help. This raised criticism towards the US; it made China look more of a friend to Asian countries. As a result, the Chinese relationship with South East Asian countries became closer; on the other hand, U.S seemed to be losing touch with Asian countries. China is attractive to most of its neighbors; this is because it gives its aid without a lot of conditions while the western nations set a lot of requirements (Mackerras 6). The political characteristics of China are different from other countries in the world. China has maintained her existence as a communist state that adopts the capitalist system. As a result of holding different ideologies, China has a different way of assessing international issues. For instance, USA and western countries influence developing countries by regarding human rights. Chinese foreign policy is mainly based on non-interference principles. Countries like Pakistan, which is faced with wars, tend to be associated with China and not the USA. The noninterference policy has led to China having a close relationship with authoritarian countries. Take for instance, in the case of Palestine and Israel (Yinhong 52). Countries that have problems such as North Korea and Iran have always had their survival depending on the Chinese economic power. China is using humanitarian assistance and economic justification to have a trade relationship with North Korea; this is happening despite North Korea was imposed with sanctions. This has led to China being the dominant trading partner that is providing 80% of consumer goods and 45% food to North Korea (Thayer 13). Indonesia has also benefitted a lot from the ignoring of Western measures and democracy in China. A good example is the East Timor case whereby Indonesia got arms embargo; it’s only China and Russia, which acted as hardware supply to Indonesia for more than ten years. The USA is viewed internationally as unprepared for the restructuring of the global balance of power. China is the gaining a lot of influence on the South Asian countries. China views South East Asia as a fruitful and a region which is receptive to its influence. This has brought China interest to be seen as a threat to the USA. This means that in the next decade China will have a great influence globally (Tang 3). It only needs China three decades for it to be the second largest economy in the world. This will be the fastest path to China having a great influence on world politics. China is becoming a global power in the international order. Their development model has led developing countries such as Indonesia to try to be associated with China. A summary of China’s position in world politics and economic growth is below. The high-growth and economic growth has become China’s main target and a driving factor in recent political influence on its neighboring countries (Thayer, 18). 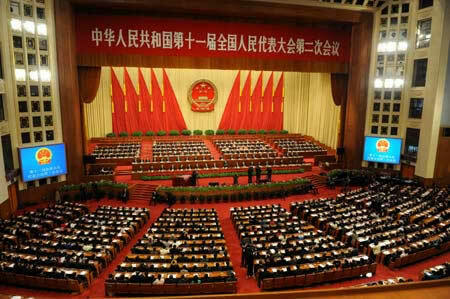 The economic growth witnessed in China has maintained CPC’S survival dominant party. The centralized system that is adopted by the Chinese government has enabled secure control of its strategies. China’s economic power has been used by the government as its source of soft power that is a strengthening factor for developing countries. I agree with (Li and Yanzhou, 5) argument that the China soft power has been possible due to economic growth in China. South Asian countries have to soften their relationship with China since their economy is comparable with the super power nations. China’s historical aggressive behavior was a hindrance to the development of relations with its neighboring countries; this is no longer the case since China has adopted a non-aggressive approach. When Asian countries and all China neighbors have good relations, it means that the opportunities they benefit from China are mutually beneficial to the whole world. China’s political influence of its neighbors is attributed mainly to its growth economically.